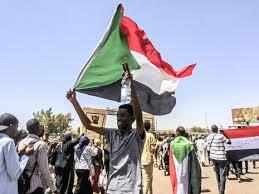 April 11, 2019 (KHARTOUM) - Sudan official and radio-television have interrupted their programmes and broadcast military announcing that the Sudan Armed Forces (SAF) will issue a communiqué soon. Reports from Khartoum say the coup d’état has been carried out by the whole military institution including the defence minister and first vice-president Awad Ibn Ouf. 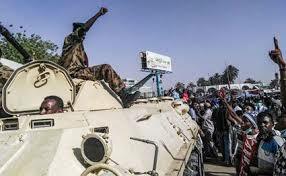 Also, armoured vehicles belonging to the Rapid Support Forces (RSF) have been seen deployed in the strategic positions of the capital.The Sudanese Professionals Association which oversees the over-4 month protests across the country has called on the protesters to continue the big set-in outside the army headquarters until the identification of who is behind the coup. The whereabouts of President Omer al-Bashir is not known. However, reports say he is at his home under the protection of the army. A military telegram seen by Sudan Tribune released his morning informed the military commands outside the capital and in the different states that the army has taken power and will form a military council to manage the country. Reliable Sources say the decision was taken to cut short preparations for another coup that had been underway by Islamist officers together with the NISS and the militia of the National Congress Party known as the Popular Security. Al-Jazeera TV reported the arrest of Ali Osman Taha, former first vice-president and Ahmed Haroun the acting chairman of the National Congress Party along with other leading Islamist leaders. "At this moment, the country is waiting for the statement of the Armed Forces in response to your heroic struggle over the past four months. We say that we are at a crossroads; either a complete victory f your great struggles or a desperate attempt to reproduce the old regime." 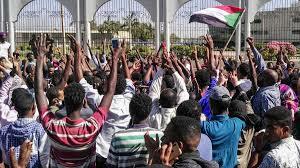 Sudanese are still waiting for the statement of the army leadership, while reports say some 150 politicians have been arrested from the NCP and its allied forces. People continue to take to the street celebrating the fall of al-Bashir’s regime despite uncertainties about the nature of the military coup.